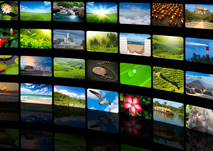 Watch movies and JAL original video programs, read the news, and more. A wide range of audio genres ranging from the latest pop music to rakugo (comic storytelling) performances. A diversity of game genres, from tabletop to action games. 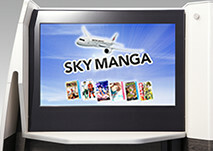 Enjoy reading e-books including popular manga along your flight. The MAGIC inflight entertainment system gives you access to today's talked-about movies as well as games great for taking a mental break, in addition to a wide variety of audio content ranging from the latest pop music to rakugo (comic storytelling) performances. 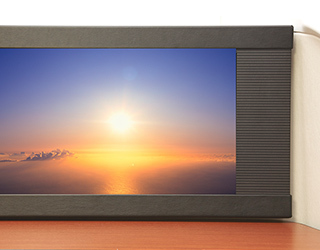 Your own personal screen lets you start watching a variety of programs from any point you wish. 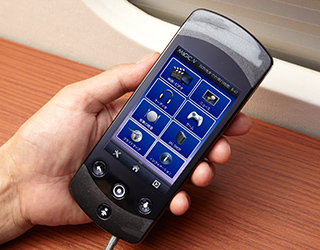 Every seat has an inflight entertainment controller equipped with an LCD touch panel. 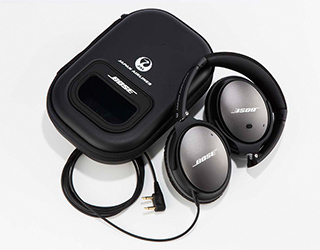 Bose Quiet Comfort 25 noise canceling headphones bring ergonomic comfort to your ears. Enjoy dramatically reduced surrounding noise and high-fidelity sound during to inflight programs.